LG TVs occupy a large proportion in the smart TV market and they possess lots of innovative features based on WebOS and Netcast. Its future-proof technology and its capability of syncing with smartphones have attracted an increasing number of users to mirror iPhone to LG TV. If you search the internet, you will see that it’s not easy to find feasible solutions for troubleshooting. Luckily, after careful research and testing, we’ve determined that the following methods will make it easier for you to share your iPhone screen with your LG TV. Video & TV Cast for LG Smart TV is an app specially designed for iPhone and iPad. You can use this software to browse the web and mirror any online video, web movies, live shows etc. from your iPhone to your LG TV. It supports different formats such as MP4, M3U8, HLS live streams. Now let’s take a good look at the following steps on how to mirror iPhone to LG TV. 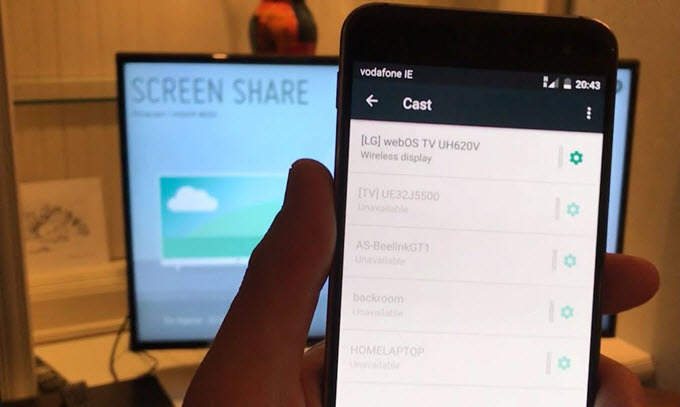 Search Video & TV Cast for LG Smart TV on your iPhone and then, launch it. Open your TV and launch “TV cast”. Ensure your iPhone and LG TV are under the same Wi-Fi network. Use your TV’s remote control to open “LG Content Store” and you can find the same TV & Cast on the right side of the screen. Click “OK” to connect iPhone to LG. Select a video you want to mirror on your LG TV, tap the link to cast and then you can simply cast your iPhone videos to LG TV. This app supports all major video websites and countless others. You can stream high-quality video directly from your iPhone to a big TV screen via the above method. However, please remember that Video & TV Cast for LG Smart TV does not support iTunes movies, DRM protected videos or Flash videos. Also, this app only streams the video part of a website rather than the entire website content. LG TV Plus is a must-have app that you can use to browse and play your smart TV with your iPhone. 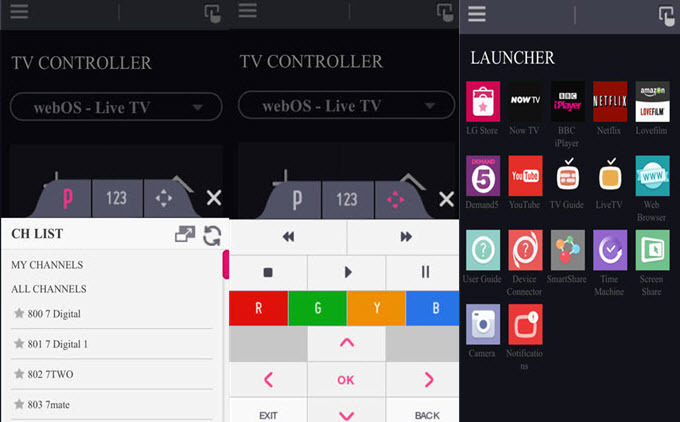 This app features TV controller, Touch pad, Launcher, Search and other useful functions. This app works with 14 webOS-enabled LG TVs. After setting your TV and mobile device to the same Wi-Fi network, you can use it to mirror iPhone to LG TV, control your TV with iPhone, enjoy photos, music, and videos from your iPhone on a large screen. For any iPhone with iOS 6.1 or later version, you can share your iPhone contents on LG TV with this software. Cross-platform screen mirroring has already been integrated into mobile operations. 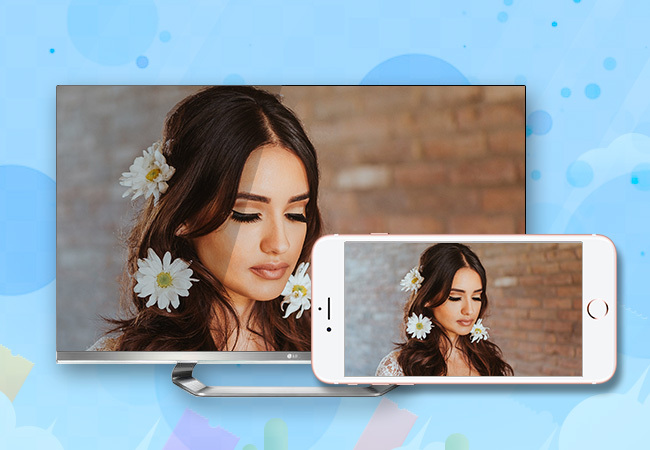 In order to get more enjoyment from a larger screen, except screen mirroring iPhone to LG TV, iPhone users also stream iPhone to PC or other Android devices. Here I want to recommend you a popular app called ApowerMirror which is screen mirroring software for both iOS and Android devices. You can install this program on your PC and Mac for screen sharing between iOS/Android and PC/Mac. Rating: 4.3 / 5 (based on 185 ratings) Thanks for your rating!